Alyson Stanfield, of Golden, Colorado, helps artists promote their art more effectively, sell more of it, and make more money. Her work is distinguished by extensive experience working with viewers of art, in addition to working with artists themselves. She founded ArtBizCoach.com in 2002 and is the author of I’d Rather Be in the Studio: The Artist’s No-Excuse Guide to Self-Promotion. 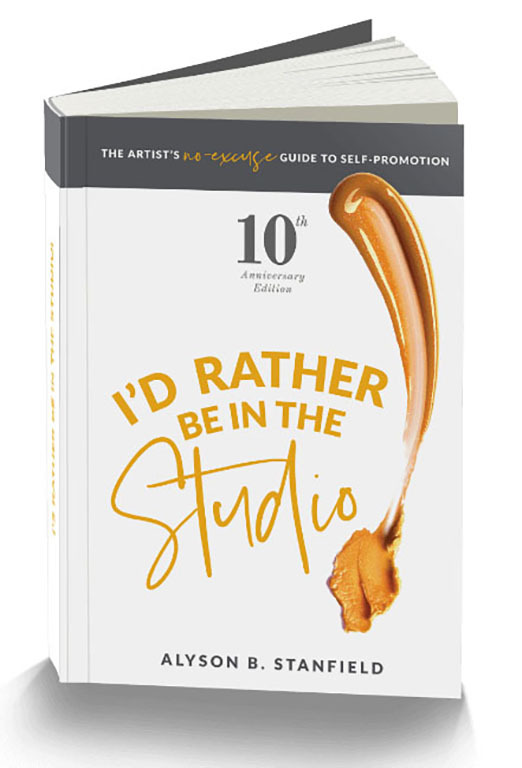 “Best self-promotion book I’ve found for artists.” – Burnell Yow!